To get started, you will need a Provider Access Code from Whole Woman Health. To get one, you must be a Whole Woman Health patient. 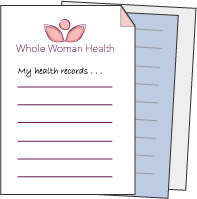 Request one by contacting us at (207) 563-7000 or by email at info@wholewomanhealthcare.com and we’ll be glad to assist. Once you receive your Code, you can visit the Metagenics website to create an account and begin placing orders. As a Whole Woman Health patient . . .
You get 20% off your first order on Metagenics.com. You get 10% off Recurring Orders on Metagenics.com. You receive free ground shipping on all orders on Metagenics.com. Remember to have your Whole Woman Health Provider Access Code handy.